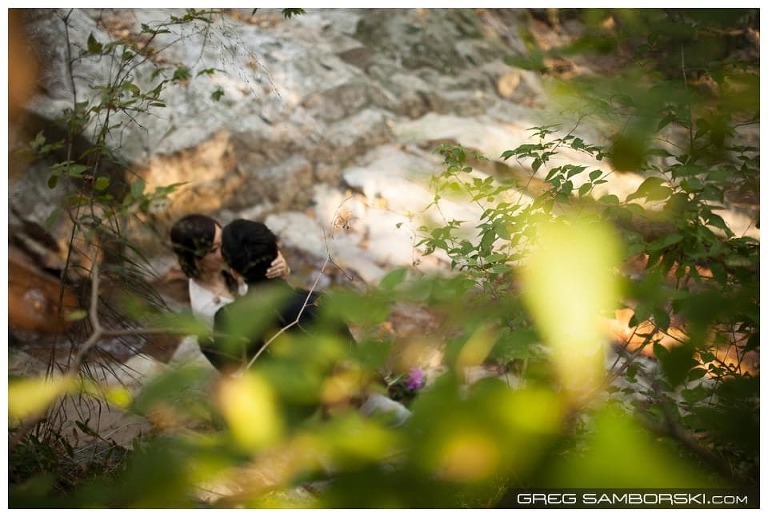 Hamei, South Korea: Once again I had the rare pleasure of shooting some couple photography in and around my neighborhood. 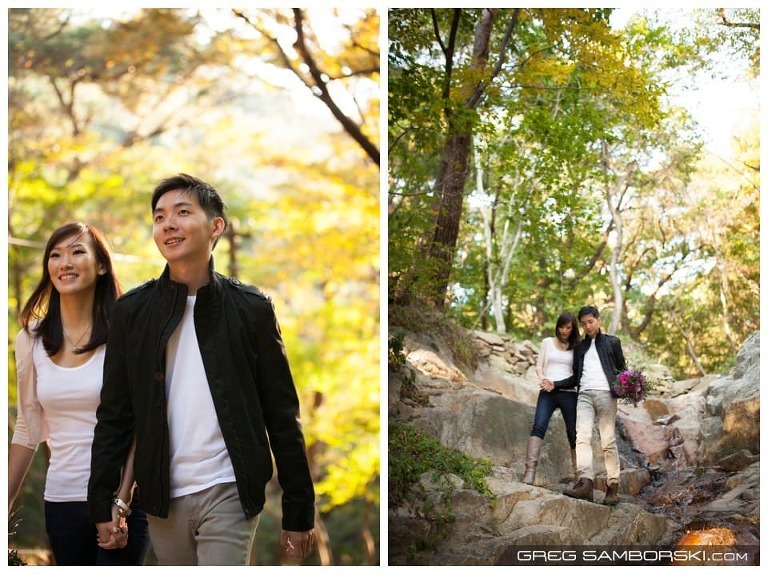 Terence and Michelle traveled from the mega-city of Singapore to my tiny one-traffic-light town of Haemi to get their Engagement photos. Natasha Che came down from Seoul to do makeup, Clair did the flowers and I booked T&M into one of nicest pensions I know in Korea, Soohwarim. Terence: I first ‘met’ Michelle in the virtual realm of World of Warcraft (WoW). It was through a common guild I created with a mutual friend for the purpose of venturing the virtual world together. One day we figured we spent too much time online, decided to organize a guild outing, offline. The turnout was terrible – only our mutual friend, her boyfriend, Michelle and I showed up. 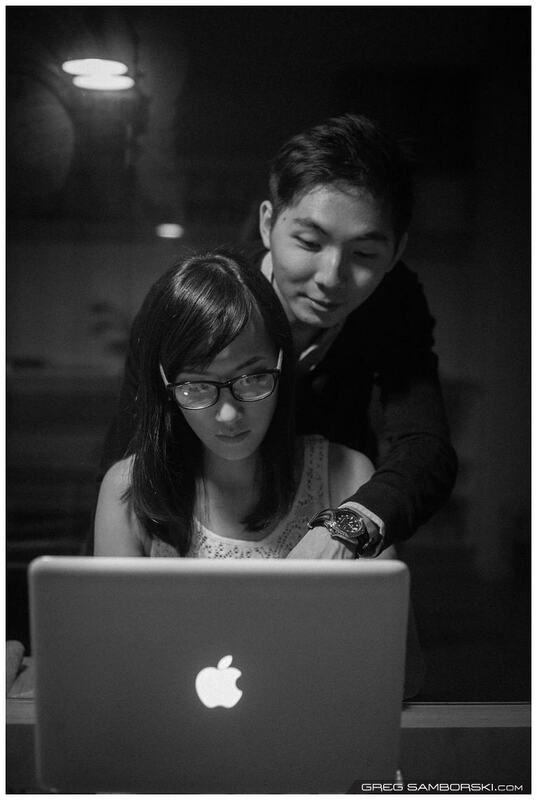 Michelle: Terence totally forgot about this but we first met at an internet cafe. My friend was playing WoW and he showed up with fries for her! He went off with my friend after that and when we next met for the guild outing, it was about 6 months later. Terence: Without Facebook back then, I stereotyped her as a nerdy girl. But my stereotype changed and the rest is history. (when it’s meant to be short, succinct and grammatically unsound) Michelle: He surprised me for Valentine’s Day by lighting candles in the shape of a heart just below my block. Terence: A photo of us taken way back from when we started dating is my reminder of how far we’ve journeyed and grown together. Terence and Michelle I will always remember our meeting in Singapore and this shoot. Next time you’re in Korea give me a call and we will stock up and pig out on snacks in your room!